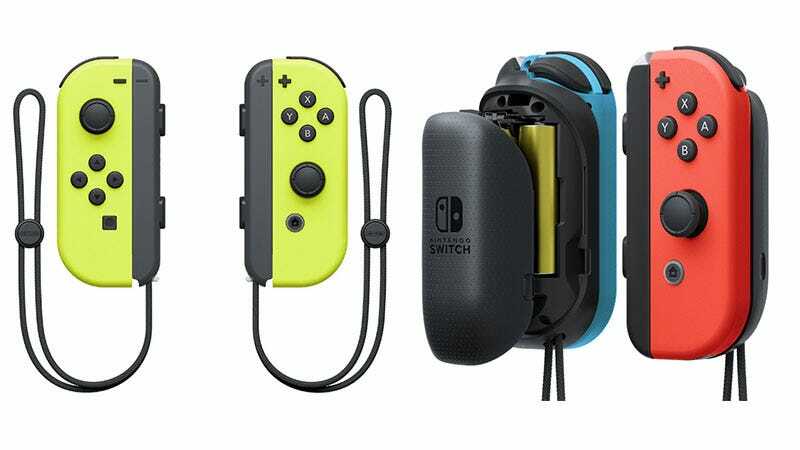 Nintendo’s Joy-Con contollers will soon be available in a new colour—”Neon Yellow”—while you’ll also later this year be able to buy a battery pack to extend the life of the lil’ pads. Both accessories will be available in the US on June 16. No word on price for the battery pack, but Nintendo’s Japanese site says ¥3280, which would put it in the $30 ballpark.